According to countless reports, overmedication is one of the most insidious problems of our medical system, especially when patients from ends of the age spectrum are concerned. This issue concerns all Americans, but it can become especially problematic in the healthcare of elderly patients, as well as in children’s healthcare. This phenomenon is too complex to tackle here and is subject to various federal initiatives: many experts are trying to come up with a sound plan of overcoming overmedication without endangering the state of the nation further. While we can’t address all of the subtleties of too much vs. too little in cases of serious diseases, we can argue for a lowering of medication in mild, common affections. Medically known as de-prescribing, thoughtful efforts of taking less pills when they’re not really necessary are a most welcome initiative for both your health and the environment. It’s no secret that drugs are one of the most dangerous contaminants currently being chugged in the global ecosystem. Use the past year or so for reference. 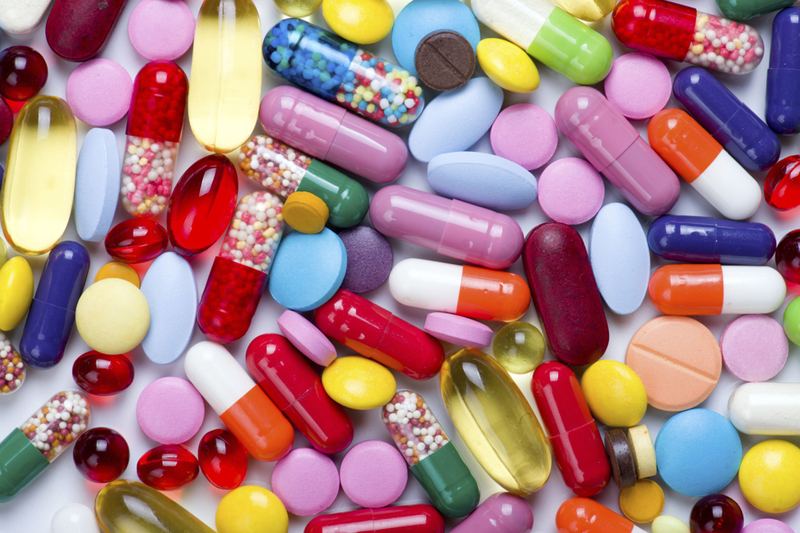 Think carefully of every medication or health supplement you have taken, either regularly or on an occasional basis. Don’t neglect anything; even things you wouldn’t normally consider drugs (like a calcium supplement or your regular vitamins) can have surprising side effects. Also, don’t be shocked if the final count is larger than you expected; most people have no idea they were taking so many different medications until actually writing them down. You shouldn’t decide renouncing a medication (or even lowering dosage) by yourself. If you manage to find a sympathetic doctor, they will definitely understand your issue and help advise you on the best way to start downshifting your med intake. As a general guideline, if you suffer from a serious chronic condition (heart disease, diabetes, epilepsy and so on), you will probably not be able to forego your meds completely. Still, you can discuss other options: switching to a new and maybe less harmful drug, or simply lowering the amount to be taken. As for less serious illnesses, as long as you have your doctor’s blessing, it’s safe to assume that you can stop taking medication for them, most of the time. The common cold, for example, is one of the most overmedicated diseases in the U.S. When the cold reaches a stage where one of the symptoms is a persistent cough, some people even start taking antibiotics, though not necessary. This leads not only to health and environmental problems, but also to super-resistant bacteria. Even without taking antibiotics, the meds traditionally used in treating a cold (like paracetamol) have serious health consequences as well. Do yourself a favor, and to the environment as well. In most cases of the common cold (or flu), even with a significant chest congestion,natural remedies and a good amount of rest will be just as effective as any drug. Unless your doctor explicitly says otherwise or your state takes a turn for the worse, you’ll be on your feet in a few days, just the same as when taking meds. Also, don’t stop here. Do your research and you’ll be pleased to find that most mild diseases or physical inconveniences can be effectively treated with home remedies using natural ingredients commonly found in your household. The wrappings of medication and medical supplies are also an issue when it comes to environmental harm. What you can do about it, at an individual level, is to be mindful of how the supplies you buy are wrapped. Once you’ve already minimized the amount of meds you use and narrowed your list down to the essentials, it’s time to consider this. When choosing between 2 different brands that produce the same medication, opt for the one with a more eco-conscious way of wrapping its product. Also try to opt for bulk sizes or rechargeable containers, and so on. Also, as much as it sounds like a cliché, you should do more things to preserve and improve your overall physical state. Maintaining a fit and active lifestyle will help you remain healthier for a longer time, postponing dependence on extra meds, and even lowering the amount you need of the drugs you’re already on. The more you work towards diminishing use of medication, the more you can achieve, for the sake of planet and your own.